Are you the Management Undergraduate of the Year? We're searching UK universities to find the outstanding Management Undergraduate of the Year. You must have an aptitude for customer service and sales, flexibility, leadership, a strong work ethic and great communication skills. 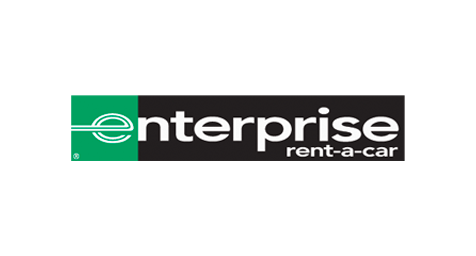 A summer placement with Enterprise Rent-A-Car! The lucky winner will get to design their own summer internship to suit their individual goals and interests, including a week at one of its international operations, valuable networking opportunities and the chance to experience different aspects of the business. The winner, throughout the process, will have demonstrated the competencies that we look for in our graduates and undergraduates. We’re not looking for a ready-made manager and we aren’t concerned with which university you attend. We want to know more about you as a person. Previous finalists have set themselves apart by connecting with our employees through social media. You can do that too by connecting with us on @ERAC_Jobs where you’ll find useful resources to help you with your application. You can also get TARGETjobs' advice on completing your application. Register your details online and answer three questions set by Enterprise. Receive an email inviting you to sit three tests designed exclusively by our partner SHL. If you pass the online tests and successfully make it to the next stage your application will be reviewed by Enterprise. This stage will include a telephone interview and an assessment centre. Enterprise Rent-A-Car is sponsoring the Management Undergraduate of the Year Award for the eighth successive year because we believe in offering undergraduates the opportunity to put the management skills they have developed on their course into practice. By applying for this award you will have the opportunity to experience what a graduate recruitment process actually looks and feels like from the application stage through to telephone interview and, if successful, an assessment centre. You will also get the opportunity to network and get hints and tips from our talent acquisition team and business leaders. Our top ten students will have the experience of an afternoon at Canary Wharf networking with all the other finalists and this brings invaluable experience. Some of our finalists are now great friends – just check Twitter! Over the past four years we have been able to offer internships and placements to over 35 undergraduates who have applied for our award and are looking forward to seeing some more great applications this year and finding the Management Undergraduate of the Year 2019!